Despite new law's explicit protection of businesses over the Green Line, Obama says 'settlements' are fair game. 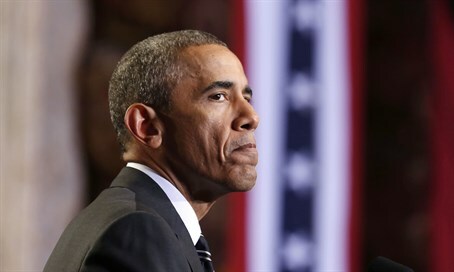 After signing a bill targeting anti-Israel boycotters, President Barack Obama pledged not to enforce one of the law’s clauses extending the anti-boycott protections to Israeli businesses operating in “Israeli-controlled territories”. The law, which passed with strong Republican support, bars the US government from any cooperation with groups participating in the BDS movement against Israel and Israeli businesses. To clarify the law’s reach, lawmakers included a clause explicitly extending the protections to Israeli businesses in “Israeli-controlled territories”. But after signing the bill into law, Obama rejected the clause as being “contrary to longstanding bipartisan United States policy, including with regard to the treatment of settlements,” the JTA reported. The President pledged to oppose the efforts of the BDS movement against Israel – but only within the Green Line. Beyond the Green Line, however, Obama claimed he was not bound by the law, which he said might infringe upon his constitutional prerogatives as president. He argued that “conflating Israel and ‘Israeli-controlled territories’” was illegitimate and would “interfere with my constitutional authority to conduct diplomacy”.